La Vonne I. Neal is ready for action. Ready to disrupt cultural disparities in education. Ready to upend the rising numbers of students of color leaving high school without diplomas. Ready to remove institutional obstacles that dissuade people of color from becoming teachers. Ready to enact potentially transformational remedies. The dean of the Northern Illinois University College of Education and two of her close colleagues from the National Association for Multicultural Education (NAME) are firing up their advocacy for answering catastrophic “systemic challenges” with “systemic solutions” that promote social justice and equity. Chief among their recommendations is creating a pipeline of future teachers that mirrors student demographics and imbuing current teachers with culturally responsive strategies for their classrooms. “We have decades of research on how to teach a new way and how to spark the genius of every child, but the scholars’ outcomes are worse than ever before,” Neal says. 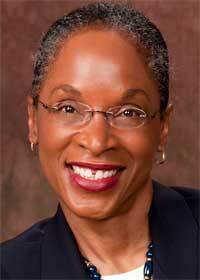 “What’s frightening is that scholars of color disproportionately are not graduating nationally. We speak to this in the first chapter: only 50 percent of the scholars of color, particularly Latino and African-American males, are graduating from high school. Regrettably, Illinois parallels that,” she adds. While the population of people of color continues to grow and now accounts for nearly half of K-12 enrollment, 83 percent of the U.S. teaching force remains white: Approximately 38,000 African-American teachers and administrators in 17 states lost their positions in the decade after the landmark 1954 ruling. Many teachers fail to “spark the genius” of students of color because they are unaware of the cultural differences or how to bridge them. Potential teachers of color are discouraged from entering the profession because the structure of many college preparation programs better accommodates white students. Policymakers at all levels – from principals and superintendents on the local level to education leaders in state and federal positions – are failing to appropriately fund the redesign and rebuilding of licensure programs. College entrance exams, such as the ACT or SAT, are “culturally biased” and discourage prospective teachers of color from entering the profession. 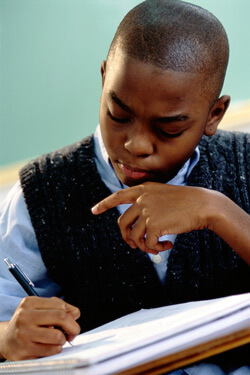 “I’m not saying that only teachers of color can spark the genius of scholars of color. What I am saying is that it definitely helps with identity development and scholar identity development. It also helps students of color to realize that, ‘I, too, can access this field.’ Also, all teachers have to be explicitly taught how to spark the genius of all scholars through culturally responsive teaching,” Neal says. 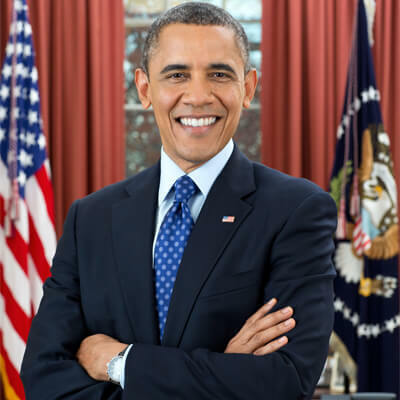 Their efforts dovetail perfectly with President Obama’s “My Brother’s Keeper” initiative to help every boy and young man of color who is willing to do the hard work to get ahead. As communities across the county adopt novel approaches to help put these boys and young men on the path to success, My Brother’s Keeper identifies and promotes those programs that work and strives to build on them. For example, the majority of U.S. teacher preparation programs require only one diversity course for their teacher candidates. Meanwhile, she says, the population is rising mostly in urban areas, where many future college students have neither driver’s licenses nor access to vehicles. However, teacher preparation programs are often located in suburban or rural settings and mandate individual transportation for clinical experiences. Barriers such as these are effective – and unfortunate – deterrents to people of color who are considering the classroom as their workplace. Neal, Sleeter and Kumashiro, “data-driven decision makers” who were well-acquainted through their individual NAME leadership roles, hatched the idea for the book around Neal’s kitchen table during the organization’s inaugural summer institute held in DeKalb. According to publisher Routledge, the leading scholars who contribute have “look(ed) closely at this problem” and “examine why the teaching force is predominantly white from historical as well as contemporary perspectives. Joseph Flynn, associate professor of curriculum and instruction in the NIU Department of Leadership, Educational Psychology and Foundations, is co-author of one of the chapters with four of his NIU College of Education colleagues. 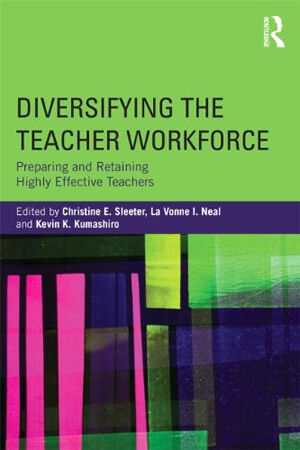 “Diversifying the Teacher Workforce: Preparing and Retaining Highly Effective Teachers” addresses a crucial issue in education, Flynn says. “As the nation moves forward, we are seeing a rapid increase in the diversity of our student body while the teaching force remains dominated by white, middle-class females. Diversifying the teaching force is crucial to sustaining democratic ideals because the move can ensure that diverse perspectives are always a part of debates about policy and best practices,” he says. “Our chapter in the book focuses on the influence of critical perspectives, Critical Race Theory specifically, and how it encouraged us to ask different kinds of questions that helped us think about what the NIU College of Education does that is successful as well as what we can enhance,” he adds. Teachers have a role in changing education, says Neal, who holds master’s and doctoral degrees in multicultural special education and previously taught middle school in Texas. She greeted her classes each day with these words: “Good morning, scholars.” She classified her students as “at promise” rather than “at risk.” She arranged student desks in face-to-face “learning communities” where critical thought could flourish through group interaction. Research shows that students retain between 70 and 90 percent of information presented when the curriculum is symbolic (visual images) or societal (in the media), Neal says. However, 70 to 90 percent of teachers adhere to a “formal” curriculum of textbooks and lectures. Successful teachers embrace all three strategies, she says. Meanwhile, she says, the symbolic and societal approaches must encompass all cultures to engage all students. Otherwise, fertile minds will succumb to the “public curriculum” – a collective knowledge based on what’s taught and lacking what’s been omitted. “Over time, you value what is present and you devalue that which is absent,” Neal says. “If you go into a science and/or math classroom, and you have an absence of Latina mathematicians and scientists visually – if you don’t see pictures of Dr. Ellen Ochoa, who is a contemporary astronaut and a trained physicist and engineer,” she adds. Neal says the book is a must-read for all stakeholders in education, including parents, and especially those with the power to effect change.